Hey everyone! 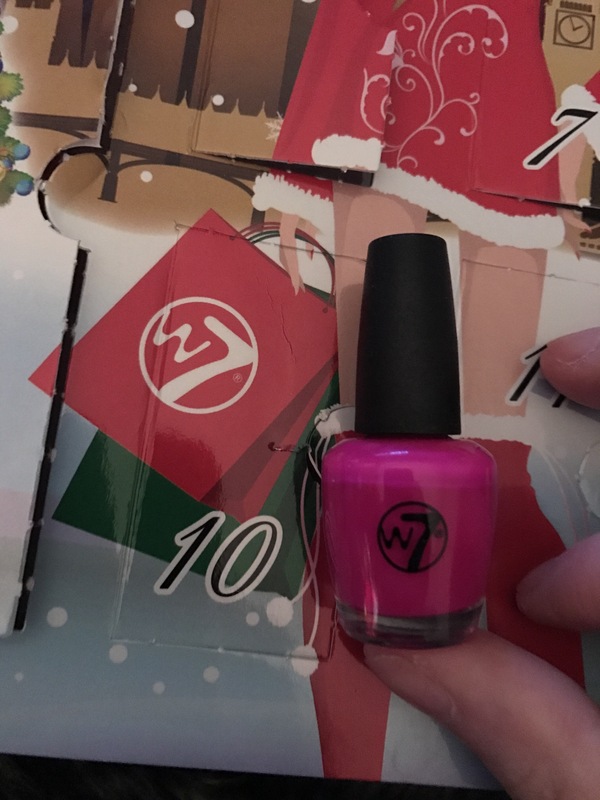 In this post we’re looking at days 6-10 of the W7 beauty advent calendar. 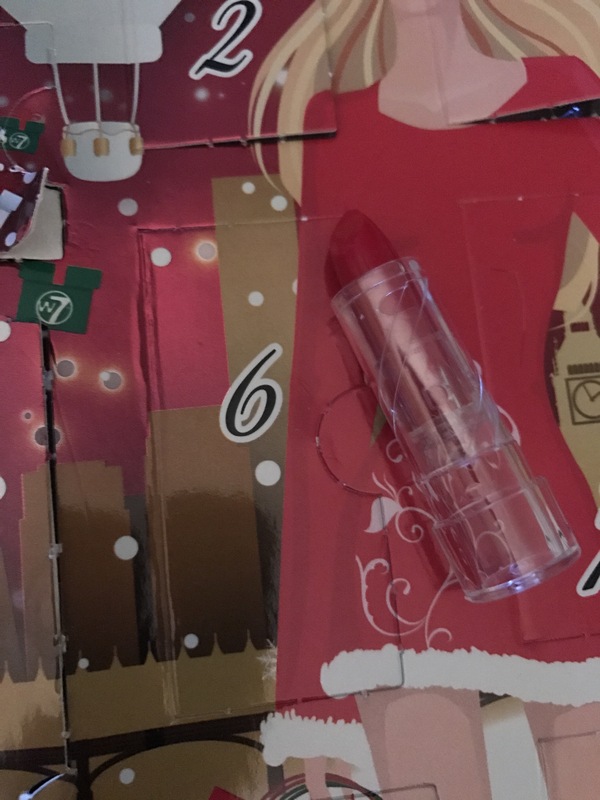 To find my review on the packaging and the first five days, check out my days 1-5 post here. This, like the others, is a pretty nice sample size. 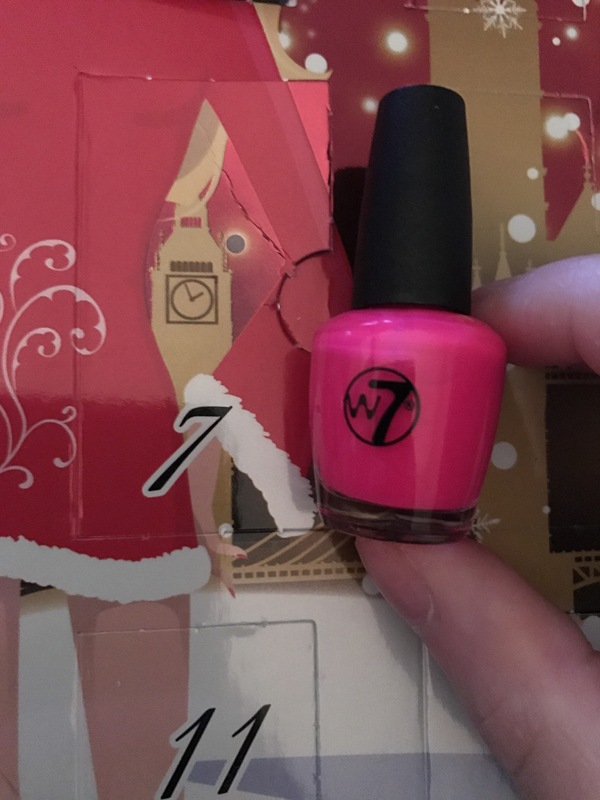 In terms of the colour, it’s definitely more wearable for me than the barbie pink I got in the last post. It isn’t as pigmented as it looks, it takes a few swipes to get coverage and it isn’t really very long lasting. But apart from that, it’s a cute colour, it’s not incredibly drying and it looks nice on. This is probably not a colour I would ever wear. To be honest, I’ll probably give it to my 5 year old niece. 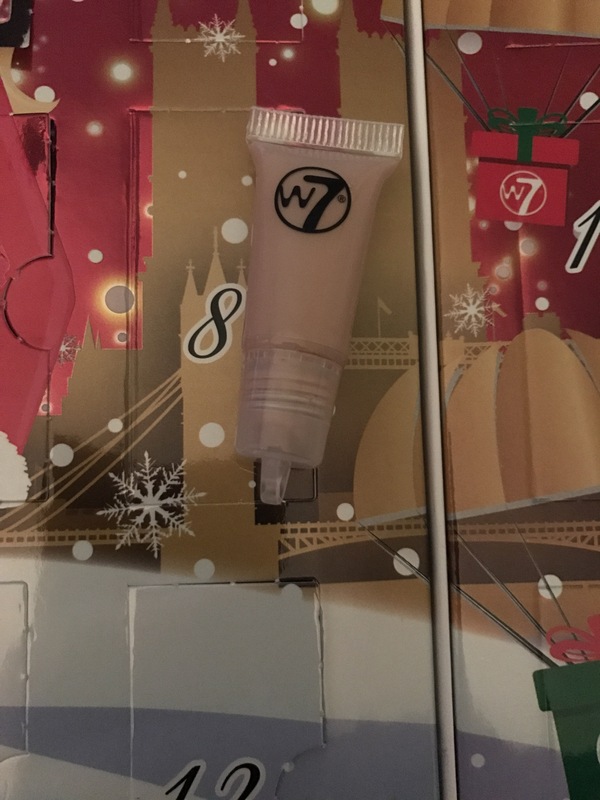 It does provide a decent coat and it is pretty pigmented, so I can’t fault the actual formula itself. I’m going to be honest and say that I really didn’t like this foundation. It sat quite cakey, didn’t blend well and didn’t last very long. I didn’t wear it out of the house as it wasn’t the right shade for me, so I tested it at home. The sample size really wasn’t that big, so I’m not being completely critical when I had the wrong shade and a tiny amount to sample. 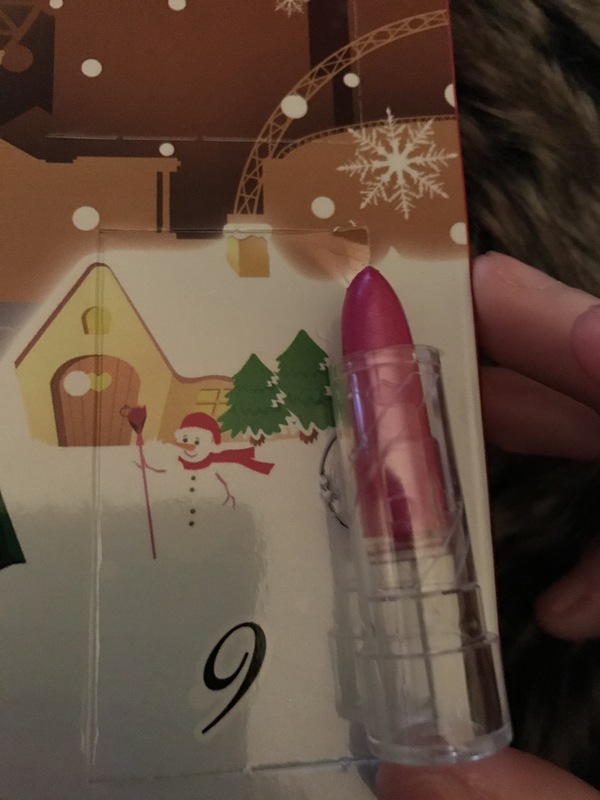 This is a really nice lipstick. It has what looks like a frost finish, but I don’t think it completely is. It’s quite a sheer coverage, almost like a tinted balm. It’s not incredibly moisturising, but not drying either. It’s a good one for travelling and applying on the go as you don’t need a lip liner to wear it. This is probably not a colour I would wear personally. It is quite a nice even coverage but it stays tacky for quite a while. Again, probably a colour somebody younger than me could pull off. So we’re nearly at the end of our 6-10 day round up, only M&S to go now!